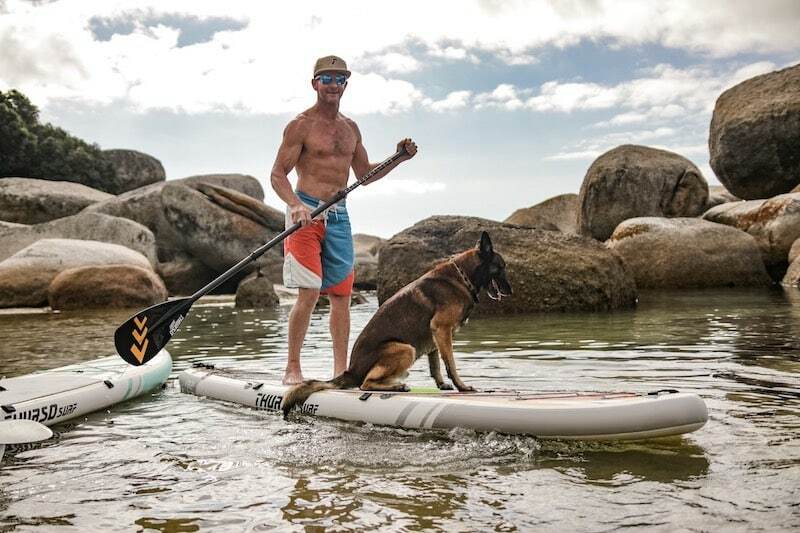 Proper care and maintenance of your stand up paddleboard can increase your board’s longevity and provide you with extra years of paddling. It doesn’t take much time or effort, but it’s certainly worth it. Building in a good maintenance routine as part of your setup and take down will help you avoid repairs and guarantee you more time on the water. We broke things down into a few key areas that coincide with the setup process. Focusing on these areas will help you keep your board in tip-top shape in a simple and easy way. Pumping up the 2019 Expedition to head out for a paddle. Thurso Surf’s built-in pressure gauge. All boards are different so it’s best to check with your manufacturer to determine the exact PSI. 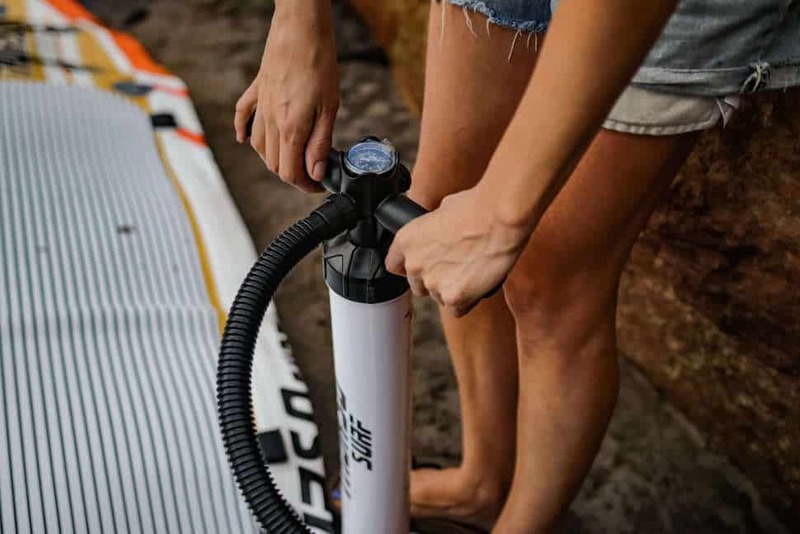 Some pumps, like the dual-action Hand Pump (included in SUP packages), or our Electric Pump, come with a built-in pressure gauge allowing you to be sure of your board’s PSI. The Electric Pump even cuts off automatically when the selected pressure is reached. It’s also crucial to remember that air expands in hot weather. Meaning if you inflate it somewhere cool and dark and then leave it out in the sun the air inside will expand. Therefore, be conscious of the temperature and your plan for the day. If you know it’s going to be a scorcher don’t fully inflate to your board’s maximum PSI level. Instead leave it slightly under and allow the air to expand when it’s in the warm sun. Remember you can always check throughout the day and inflate or deflate accordingly. When rinsing off pay special attention to attachment points like d-rings. Another area that’s easily overlooked, skipped or outrightly ignored is a simple rinse. Yes, saltwater is more corrosive than freshwater, but you should still rinse your board off after every use. It’s not just the salt that can degrade your board. Over its lifespan build-up from any number of culprits (dirt, grime, gunk, etc.) can also cause damage. Therefore when you are rinsing your board off, pay special attention to the fins, valves, attachments, handles and d-rings. Any crease, corner or seam is an opportune place for build-up. Take the time to find them on your board and give them a bit of extra attention when rinsing. This simple habit well help extend the longevity of your board and keep it looking great. Once your board is rinsed, it’s time to dry it off. Grab a towel and start wiping it down. To make things easy on yourself and to make sure you don’t miss anything start from one end and work your way to the other. Make sure to get all the little drops before you pack it up for storage. 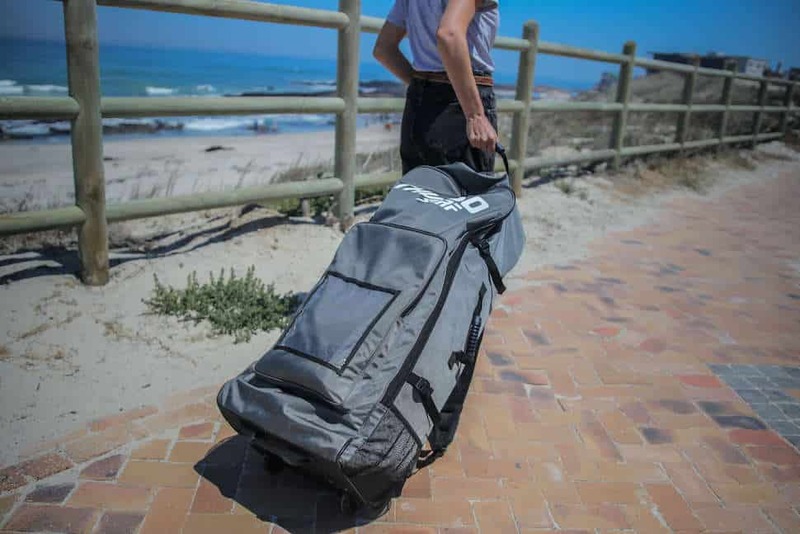 By storing it completely dry you won’t be at risk from mildew buildup in your board bag. 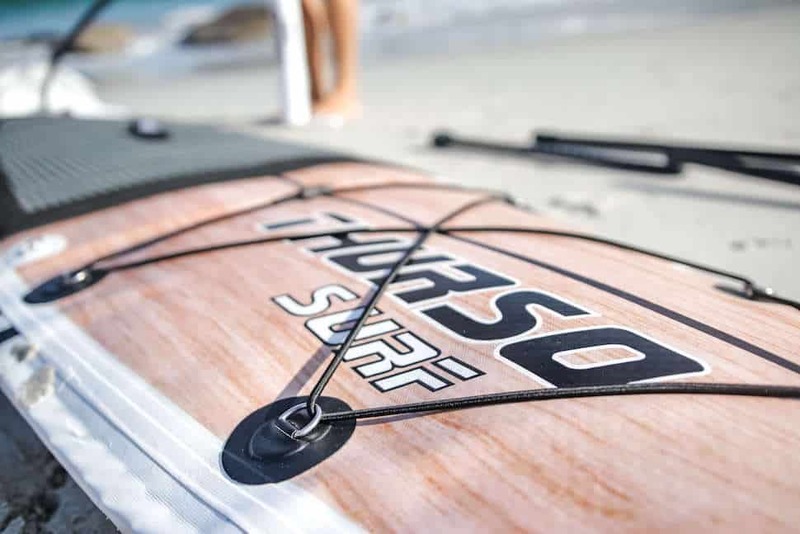 Thurso Surf Quick-Lock fins are a breeze: slide in and clip, no tools needed. Even thought this can be a pain with some boards, fins are the most fragile part of the board and it’s worth taking the time to remove them. While it’s possible to store a board with its fins installed, you risk damage. Luckily, we’ve designed our boards with Quick Lock Fins (no tools required) making it easy to install and remove the fin set in a snap. This means you can snap your fins on and off in seconds for safe storage. Once your board’s dry it’s time to prep it for storage. When putting you board away for storage we find it’s best to use your pump’s special deflate feature to fully deflate the board, then start folding at the board’s tail. This way you protect the fin boxes and can use them as a guide for your folds. Do your best to keep the creases to a minimum. Fold the board loosely end over end, almost like you’re rolling instead of folding it. Now that it’s ready, to pack, carry and stow, it’s time to find a good place to store it long term. Most importantly, you want to keep your board out of the sun. 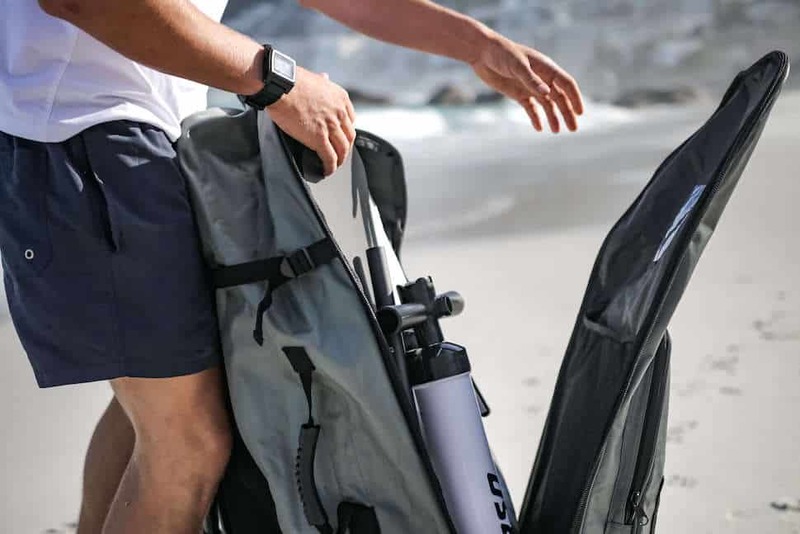 Store it in a dry, cool space, preferably in a board bag like the Inflatable SUP Roller Backpack that comes with your SUP package. Board bag’s like these will help protect the board from harmful UVs, dings, and scratches, while it’s in storage. On top of that, it provides you with easy, protected transport and the convenience of keeping everything from your paddle to your pump in one place. 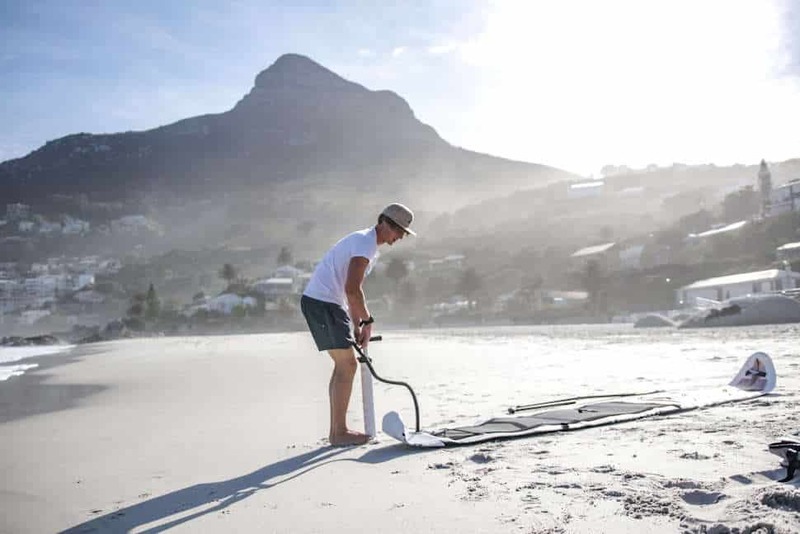 While the best manufacturers make sure their paddle boards are extremely durable, ours are even backed by an industry leading 2-year warranty, it makes sense to spend a little extra time to take good care of your investment. 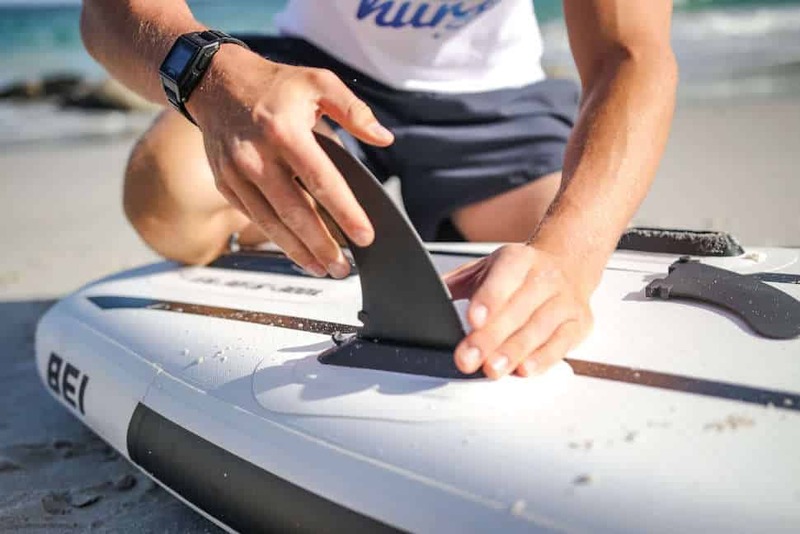 Following these care and maintenance recommendations will extend your board’s lifespan and increase your time on the water.